Tune in Wednesday evening from 6-9 PM to hear this week’s edition of the Musician’s Show, where we will be joined by drummer, composer, and educator Ari Hoenig. Born in Philadelphia, Hoenig’s father was a conductor and classical singer, and his mother was a violinist and pianist. At age 4 Hoenig also began to study violin and piano and at age 12 began to study the drums. He attended the University of North Texas, studying with Ed Soph, but transferred to William Paterson University in 1995 to be closer to New York. Soon after, Ari moved to Brooklyn – where he continues to reside – and began playing extensively with a variety of groups, including Jean Michel Pilc Trio, Kenny Werner Trio, Chris Potter Underground, Kurt Rosenwinkel Group, Joshua Redman Elastic Band, Jazz Mandolin Project and bands led by Wayne Krantz, Mike Stern, Richard Bona, Pat Martino, Dave Leibman and Bojan Z. Hoenig’s first self-produced recordings were two solo-drum records – “Time Travels” (2000) and “The Life Of A Day” (2002) – that explore the melodic possibilities of the drum set. 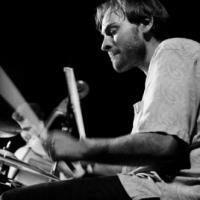 He leads three groups that play his original music: Ari Hoenig Quartet “Punk Bop”, and the Ari Hoenig Trio. He also co-leads projects such as the Pilc, Moutin, Hoenig Oscillations Quartet and duos with Chris Potter, Edmar Casteneda, and Dan Weiss. His newest record, entitled “The Pauper and the Magician”, will be out soon. Be sure to tune in!